The breeze never really got up above 7kts after the start of the first race in the series but it blew with reasonable consistency around the course. 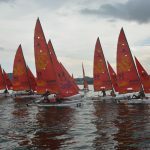 While conditions were light they were still enough to enable competitors to race in a world championship qualifier on a day that never, ever looked like anyone would go anywhere near the water, let alone round a mark in a race. 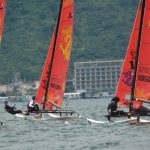 At the close of day one Robert Andrews and Haylie Andrews from Australia are leading Paul Darmanin and Lucy Copeland from Australia and Byeong Ki Park and Hae Kwang Youn from South Korea are sitting in third place. 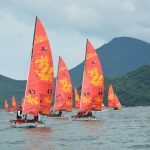 After three days of challenging competition we have now split the fleet for the Hobie® 16 World Championship, Open Series, Semi Finals! Today’s racing got off to a late start as overnight rain had taken some of the wind from our sails but as they they say, “That’s sailing”. 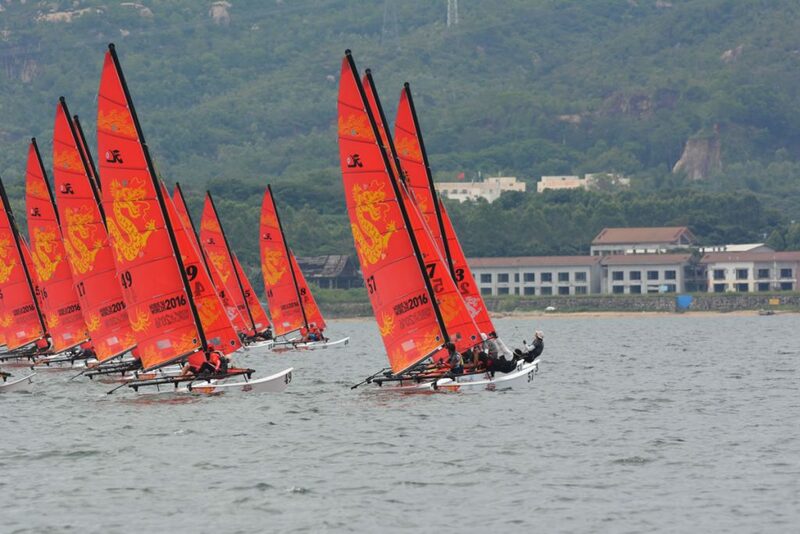 Our Hobie 16 open qualifiers checked out their boats early so that the fleet could hit the water when the Race Officer had set the course and called for ‘off the beach’. The call came at around 11:30am after the sailors had prepped their cats, had an early lunch and even played some volleyball. When the call came, it was ‘Game On’ with three back to back races in which to make it count. 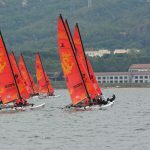 The afternoon’s racing brought the total number of races for the qualifying series to eight and conditions were once again light with shifty winds from 6-11 kts before clouds rolled in and closed out the day at the end of race eight. It is a testament to the Race Officer, Beach Crew and On Water Teams on organising quality racing despite light and shifty conditions.